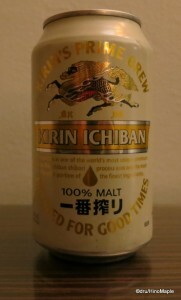 In Guam, I had a chance to try Kirin Ichiban Shibori. I often avoid drinking Japanese beers when I travel as I want to try the domestic versions. The Saviour loves Ichiban Shibori and saw the $1.99 price and felt it was too good to be true; it turned out it was. I don’t know what they did but they completely changed the flavour. On the side, the can says “brewed under Kirin’s strict supervision by Anheuser-Busch”. I was not very surprised as many people told me that Ichiban Shibori is not the same in the US. I was surprised at how different the taste is. I don’t believe they added any rice to the recipe but the malts they used gave it a sweet taste. It was similar to the Guam1 I tried. I am disappointed in how they messed up the flavour but there really isn’t anything I can do about it. I guess I won’t be buying Kirin Ichiban Shibori in America or probably Canada either in the future. I’ll stick to the local beers. 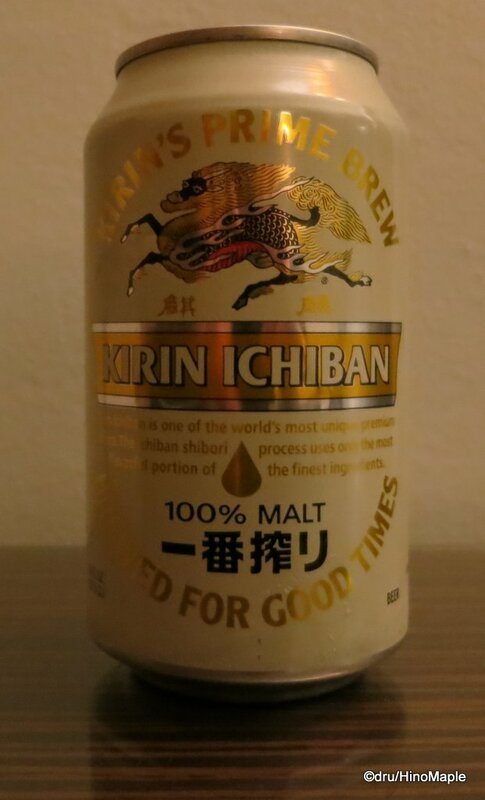 This entry was posted in US Food and tagged Ichiban Shibori, Kirin, Kirin Ichiban Shibori, US Edition, USA by Dru. Bookmark the permalink.